Are you in need of storage sheds or even a workspace shed in your yard? We've got the right outdoor storage sheds for you. From garden boxes to lean-tos, to even garage door equipped sheds, eCanopy has a wide selection of storage shed kits to suit just about any need. We also offer outside storage shed accessories so you can better customize your outdoor sheds, and to help you make sure that your shed is anchored properly. Find the DIY shed kits that protect your belongings and makes your yard pop! Check out the full selection of outdoor storage sheds we have available here at eCanopy.com and enjoy free shipping on any order over $99! Not sure what shed to purchase? Check out our Shed Buyer's Guide below written by one of our shed specialists. Can custom shed sizes be ordered? Unfortunately, we cannot custom make the sheds listed on our site. When you find yourself ready to purchase a new shed for your property, there are a few things you should consider. Sheds are no longer used for only storage. Therefore, knowing the primary purpose of your shed, the style you prefer, your choice of building material, and of course the size that is best suited for your needs will make choosing the right shed for you a simple, yet enjoyable, process. In this article, we will discuss the uses, sizes, and styles of sheds available, allowing you the information needed to choose the one best suited for your situation. Why Do I Need a Shed and What Size? Storage is no longer the sole purpose for buying a shed. Society has adapted the contemporary storage shed into a modernized and versatile part of their home and property. Sheds are now used for she sheds, man caves, playhouses, tool sheds, workshops, craft rooms, studios, and so much more. Knowing which of the many uses you need your shed for will allow you to choose the right size and design to make the space you've been hoping for. How the shed will be used is possibly the most important factor when deciding on size. Basic storage sheds range in size from smaller, more compact styles, to the larger additions that can house all the extras you need to find a place for. The same can be said for sheds that will be used for other things. Whether you've decided on a workshop or a playhouse for the little ones, a wide variety of sizes are available. When you've made your decision, simply measure the area where you plan on installing your shed. This will give you an idea on sizing guidelines when shopping for the right one. Gable sheds are also known as A-frame sheds. There are three types of gable sheds. Each of these styles offer different overhead clearances. The high gable shed is ideal for those who feel that traditional sheds are too short. 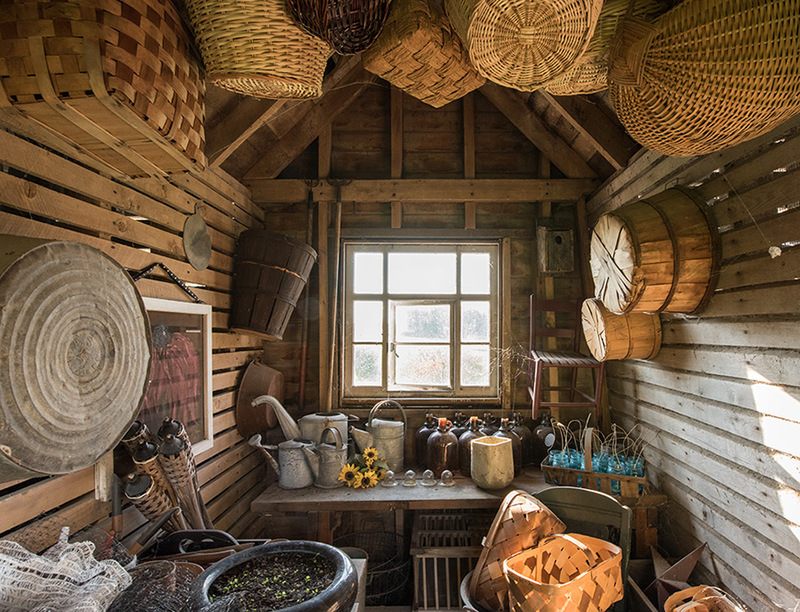 In these sheds, the gable or the triangular area located at the top of the shed, is taller, allowing for more room and the possibility of storing more overhead items. Next is the low gable. These sheds are opposite the high gable sheds. These have less headroom without changing the desired wall height, which is ideal for making your shed less noticeable to the surrounding neighbors. Finally, you have the gambrel gable sheds. These are often referred to as barn-style sheds. These provide maximum head room, the ability to add a partial loft, and usually come in larger sizes. Pent gable and lean-to sheds are closely related. Both the pent gable and lean-to sheds have a single plane sloped roof that is high on one side and low on the other, with no gable. This style of roof allows for precipitation and fallen debris to fall away easily. The main difference between the two is that pent gable sheds are usually designed to stand alone and usually have the door positioned on the long side of the shed. The lean-to shed is smaller, usually has the door on the short side of the shed, and is primarily designed to be leaned against a larger structure, as their name suggests. Flat roof sheds are another popular style of shed available. These sheds feature a flat roof that rises only enough to allow for water run-off. Featuring a boxy look, these sheds are often made of the same materials on both the sides and the roof allowing for easy maintenance. Garage style sheds are another style of shed you may consider. These sheds are often used for storage of lawnmowers and other large items. In many cases, larger styles are used by those who want a garage for their vehicles without the want of high construction costs. Metal sided sheds are typically made from aluminum or steel. These sheds often come in a variety of colors and require little upkeep. Galvanized steel sheds can withstand water and corrosion easily, although it is important to remember salt water and chlorine are not good for this type of material. Being the heavier option, many people feel this material is more durable. Aluminum is better at standing up against rust and corrosion thanks to the aluminum oxide they produce. As the lighter material available, these sheds are long lasting but may bend under pressure. Both steel and aluminum sheds are popular due to their prices, but customers should be aware of the tendency for aluminum to dimple and crease more easily. 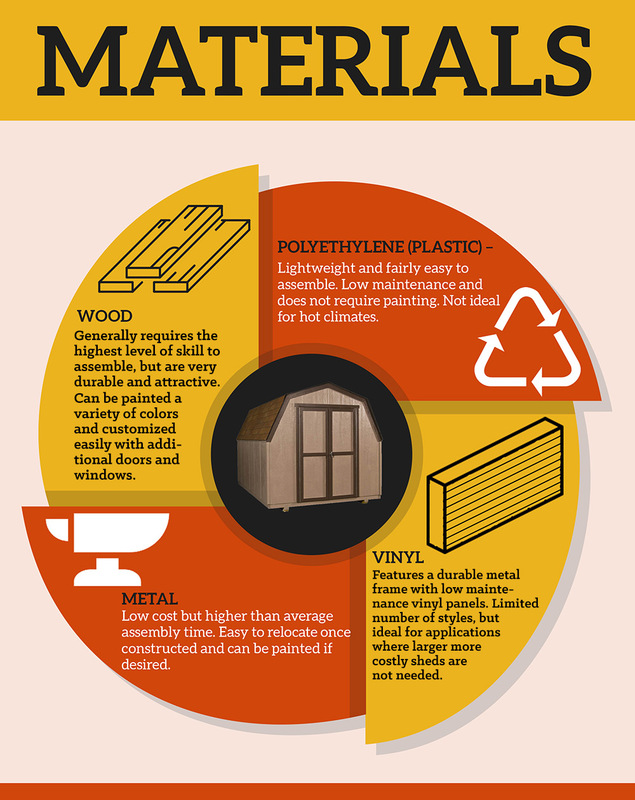 Vinyl siding sheds tend to be one of the most popular due to their easy to care for nature. These sheds often require no maintenance. They are made from double walled vinyl panels that can withstand severe weather conditions. This material is also flame retardant which helps protect your investment. Like the vinyl siding material, polyethylene is another lightweight shed option. These sheds are stain and UV ray resistant, offering an added layer of longevity. Like the vinyl sided sheds, they are quite easy to assemble and cost slightly more than metal sheds. Wood is often the most visually appealing shed on the market. These sheds have the versatility of style changes via staining or painting. 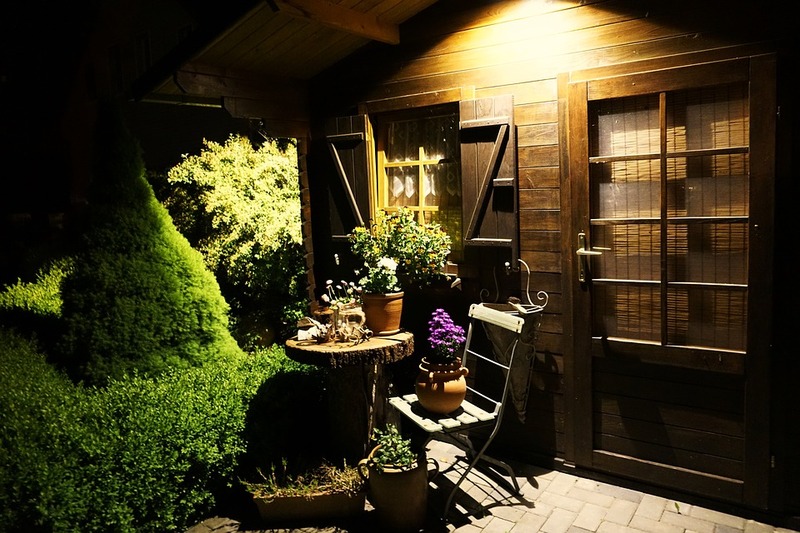 In addition, many people find these sheds more appealing due to the look and feel of adding another small house to their property instead of a storage shed or building. These sheds are the more expensive option available. Assembly is more challenging, and weatherproofing is required because rain can have a serious effect on the materials. Once you've selected the shed best suited for your needs, the time has come to customize it to your purposes. To keep your shed functioning as it should, anchoring kits, floor frame kits, storage shelving systems, ramps, roof strengthening kits for snow loads, and even skylight kits can be added. These kits will assist you in making your shed suit your basic needs and help it hold up longer. Other accessories can be added to aid in the look of your shed. Wall paneling, shelving, benches, and even tables can be added inside to give your shed the customized look and feel you want. There are several big names to choose from when it comes to buying the best shed for you. Here we will discuss each and a bit of what they offer. Little Cottage Company offers an extensive line of handmade playhouses, specialty buildings, and even chicken coops. Palram is another company that offers a wide variety of sheds and greenhouses. Most of the sheds offered by Palram are made from virtually unbreakable polycarbonate panels. Rubbermaid also offers a line of sheds and are considered one of the most sought-after brands due in part to the familiarity of their name. Suncast also carries a line of well-reviewed, in demand sheds that feature a steel-reinforced resin construction. Outdoor Living Today offers an extensive line of sheds, studios, and playhouses manufactured from western red cedar. Offering both an attractive finish and natural insect resistance, their products are some of the longest lasting wood sheds on the market. Before purchasing a shed, it is important to check both local code requirements and neighborhood guidelines. Some municipalities place a limitation on overall shed dimensions and material. Some also require a permit for installation or other prerequisites. Many HOAs also require a submittal of the planned shed installation. 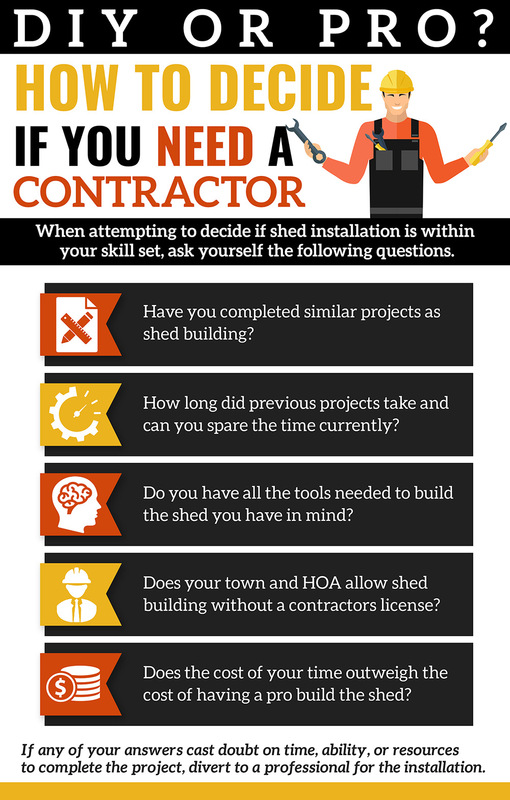 Avoiding the headache of purchasing a shed you can't install starts with pursuing the proper avenues for approval. A proper foundation is key to the longevity of your shed. Sheds that do not rely on manufactured foundation kits can have their foundation prepared ahead of the shed arrival. Many customers find it easier to install their shed on an existing surface such as a deck or concrete pad. If this isn't an option, then a foundation must be prepared. There are five basic foundations most people choose from for their new addition. Before installing your shed, it is imperative that you properly research these options to determine which is best suited for your situation. Crushed Stone — This inexpensive form of foundation offers great drainage. A shallow pan is dug into the ground where the shed will rest and then filled with gravel. The pan dimensions should be large enough to allow a 4 to 6 inch apron on all sides of the shed. Some use a perimeter frame to hold the gravel into place. Concrete Block — This method uses concrete blocks and timbers to raise your shed off the ground while also leveling it. It is important to level and then compact the ground where the shed will sit before installing the block and timber support system. This will prevent unwanted settling and sloping of the shed. Concrete Pillar — Also known as the concrete pier foundation, this method works by burying concrete pillars to both level and raise your shed. This is the method preferred by many municipalities. Concrete Slab — This method is often handled by a professional installer. As one of the most expensive foundations, it requires pouring concrete to make a level surface for your shed. Wooden Floor Frame — Many of the DIY guidelines list this method as an appropriate one for leveling your shed. Most owner's manuals or manufacturer's guides will provide the materials and steps needed to do this yourself. Pre-Made Kits — A common option from various shed manufacturers, this kit will usually consist of a galvanized steel frame that is then either filled with concrete or covered with OSB or plywood. These kits are very easy to assemble and provide you with everything you need. Arrival varies depending on which shed brand you have chosen. Some brands send a DIY kit along with the materials to help with set up. In other situations, sheds are shipped already assembled. Some companies, such as Little Cottage Company, offers both options. When sheds are being sent already assembled, shipping times may vary. Often it takes several weeks to a month before pre-assembled sheds will arrive. This is due to the time needed to construct the shed once you've placed your order. In almost all instances, however, the shed will be shipped on pallets and via the freight company the supplier chooses. The decision of whether to assemble your shed yourself or hire a professional is one that varies from person to person. If you feel you have the skills required to take on such an undertaking, DIY kits are a great way of saving money. Unfortunately, mistakes can be costly, and warranties can be voided if you take the wrong steps during this process. If you find yourself unsure of your skill set, then perhaps allowing a professional to step in and handle your assembly is your best option. These professionals have the experience and understanding required to work quickly, efficiently, and without issue in most situations. Upon arrival, it is crucial to thoroughly read over your owner's manual and manufacturer's information. This manual will give you detailed instructions on how to assemble, care for, and add to the longevity of your shed. In many cases, not properly following this manual can result in a voided warranty which will hinder any claims you may have about issues and problems that may arise. The manufacturer's information is a great tool that comes with tips and tricks to maintaining your purchase for years to come. The extensive choice of uses, styles, building materials, and crucial decisions that must be made when choosing a shed can be quite overwhelming. Using the details, guidelines, criteria, and suggestions discussed above is a great way of making your buying experience a successful one. This will allow you the opportunity to select the best shed for your needs and start enjoying it sooner than you expect.